There are some pretty ridiculous games out there. Sometimes they’re just completely absurd and not worth the time to play, but every once in a while some wacky game makes its way onto consoles and proves to be worth playing. The Executive is that game. The mobile game was created by Riverman Media. Founded in 2005 by brothers Jacob and Paul Stevens, it has other games under its belt like Deathfall, IKAROS, and MadStone. 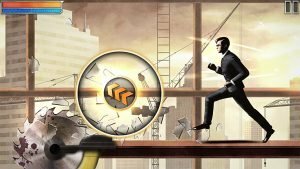 The game is about a business executive who must defend Silver Strike Mining Co., and eventually the city from supernatural creatures. Werewolves in lumberjack clothing, a goatman who lifts weights, and a blob of Jelly with human bones inside it are among the creatures you must fight, all with their own special fighting mechanics. 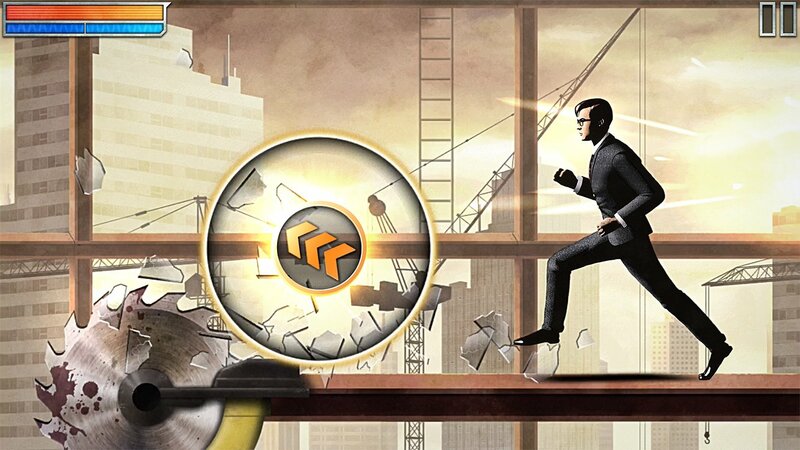 You can run up buildings, across beams, and through broken buildings to save the city. At the end of each battle, you’re graded on your performance and earn money based off stunts performed, how many times you got hit, and other aspects of the fight. You can spend money on special powers, upgrades, and special features for your business. What’s great is you can even earn money while you’re not playing the game, so when you’re forced to put it down you aren’t completely missing out. 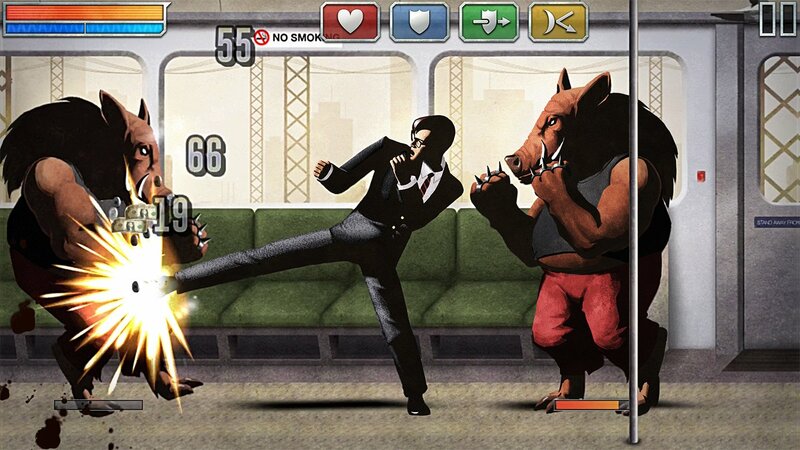 The Executive is similar to Street Fighter or Mortal Kombat with its platform fighter mode, but also has the side scrolling feature that allows you to run to the next enemy. The art style is different, which makes it interesting to play. In an interview with Pocketgamer, Jacob Stevens explained the process of making the game. 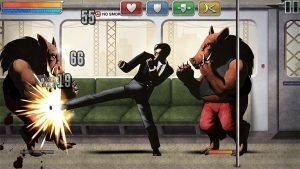 The idea of the game came from Paul who wanted to make a game similar to a martial arts movie in terms of having a fast-paced tone. According to Stevens, the game was animated by taking hand drawn frames and blend them together smoothly, essentially making it so the game doesn’t actually have frames. The game has been a smash hit amongst players. Reviews on the Apple app store are high. There are 102 ratings, and as it currently stands it’s at four and a half stars. The positives include no ads, the developers being active on Touch Arcade forums, and the fact that it’s not a cash grab or a clone. 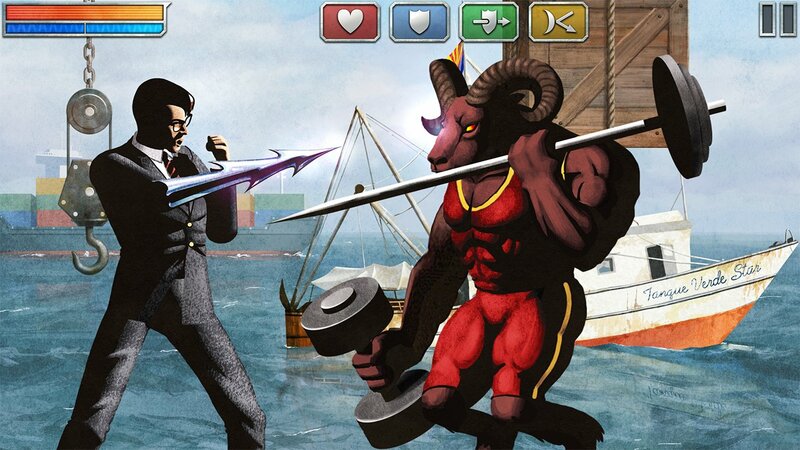 If you want to have a werewolf punching, humanoid ram kicking, ad-free time, The Executive is the right game for you. The game is available on iOS for both the iPhone and iPad. What do you think of the game? Comment below to let me know what you think.